Five seniors from Trinity School at Meadow View spent their project week building a 14-foot-high windmill on the schoolgrounds. The idea emerged last November after physics teacher Tim Maloney told a story at morning prayer about a 14-year-old Malawian boy, William Kamkwamba. William studied a physics textbook, then built a windmill from recycled bicycle parts and other salvaged materials. 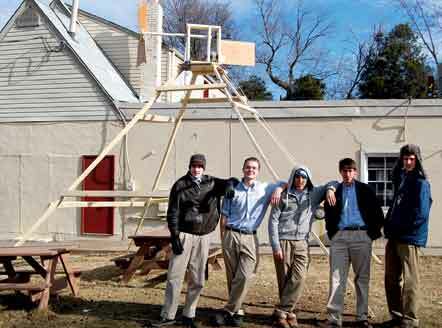 After hearing the story, seniors Chris Cornett, Ben Redgrave, José Gil-Figueroa, Josh Kelly and Johnny Piescik approached Tim with the idea of building their own windmill during project week. They set to work on a written proposal that included diagrams, materials and cost estimates, as well as an operations manual explaining how each part of the windmill functioned in relation to the whole. “We wanted to treat this like it was an actual engineering project, not just something hypothetical,” Chris says. 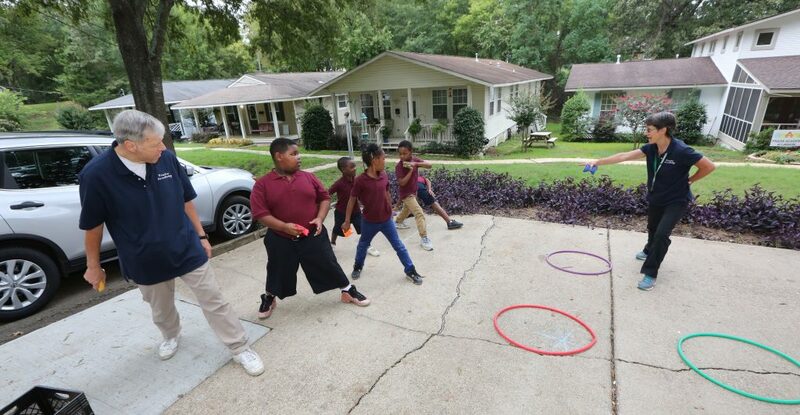 “It was wonderful to watch them do legitimate problem-solving in real time,” Tim says. The windmill cost about $250 and succeeded in producing power.